Bollywood has always seen Southern stars storming Bollywood with the biggest examples being Sridevi and Hema Malini. 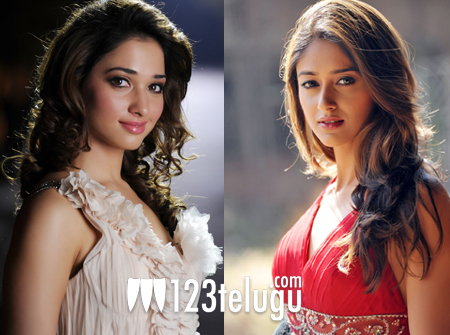 The latest entrants to this category are the ‘Milky Beauty’ Tamanna and the hot and happening Ileana. Ileana already has made an impressive debut with Barfi while Tamanna is looking extremely promising in the upcoming Himmatwala. Since the films have been produced by reputed production houses and also had big stars in them, new producers are lining up to cast these girls in their future films. We can already see a healthy competition between the two leading ladies on who will bag plump offers in their kitty. While Ileana has already started shooting for her second film opposite Shahid Kapoor, Tamanna is not far behind and has apparently been signed by a huge production house for a three film deal. We wish them all the best !